Memorial Day weekend marks the unofficial start of summer…and the official start of "Spring Training," or "Every-days," or "Pre-tour move-in" for a number of DCI's corps. 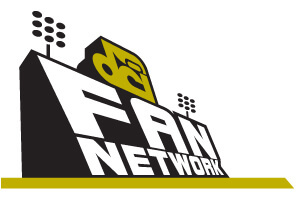 The Fan Network is DCI's popular media delivery platform, offering fans free videos posted throughout the summer by World and Open Class units in addition to subscription-based live webcasts of select 2011 summer tour events, on-demand performance videos dating all the way back to 1974, audio and video downloads throughout the season, and much more. It's a place for corps fans to live…all year long! This free trial weekend, a first for the Fan Network site which made its debut in 2008, will kick off on Friday, May 27 with a "live" webcast of the 2010 DCI World Championship Finals. Starting at 12 p.m. ET, you can watch all 12 World Class Finalist corps, as they performed at Indianapolis' Lucas Oil Stadium last August. New to Fan Network webcasts in 2011, Live Show DVR Controls will give fans the ability to pause and rewind LIVE shows. That means if you're late to the start of an event, you wont' miss a second of the action! And, if you want to go back to see "how they did that," you'll be able to take control of your own viewing destiny! Enjoy this all weekend long, with our complements, as our way of saying THANK YOU for your support of the corps which comprise Drum Corps International. Let's get excited about the start of another incredible season of top-notch performances by the world's most elite marching music ensembles for student musicians and performers! 2010 Fan Network subscribers can simply log into their accounts. Last year's subscriptions have been extended until May 31. New to the Network? Visit the DCI Fan Network subscription page. Add the $0.00 "Preview Account" to your cart, and register with your e-mail address and contact information. You will not have to enter any credit card information. Once registered, you can access the video archives all the way back to 1974, and enjoy the live webcast of the 2010 World Championship Finals on Friday, May 27. Register for your free preview today. Several one-year subscription options are available for fans to make the most of the DCI Fan Network in 2011. Learn more and signup today at dci.thefannetwork.org.